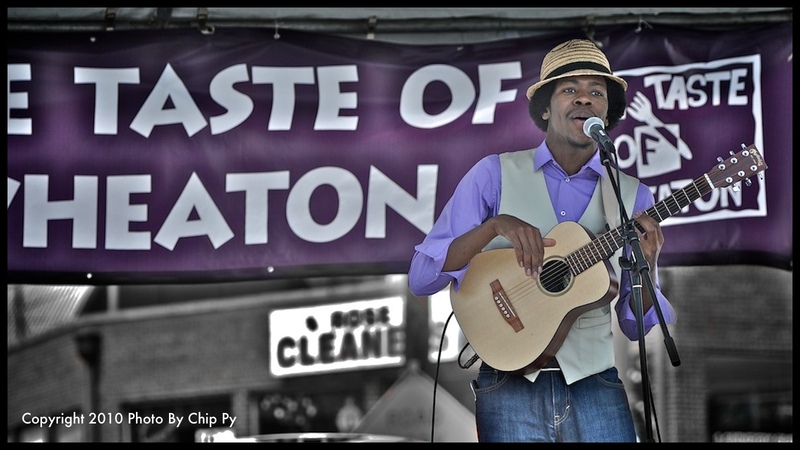 - In case you missed our Taste of Wheaton festival yesterday, check out this photo of awesome rapper Christylez Brown and other photos by photographer and friend of JUTP Chip Py. Meanwhile, Good Eatin' was there and declared that "Wheaton tastes good." 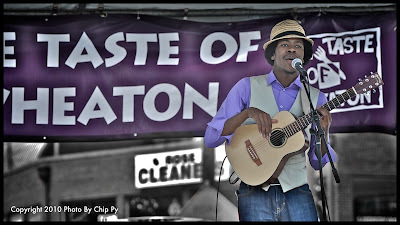 If you're still hungry, the Other, White Wheaton - that's Wheaton, Illinois - has its own "A Taste of Wheaton" festival next month, from June 2-6. There isn't much on their website about actual food at the event, but you'd better start booking those plane tickets now. - Tonight, Montgomery Parks hosts a community meeting on the renovation of Woodside Park, located at Georgia and Spring. Loyal readers of this blog know that the park was basically where I grew up and is getting new play equipment; this summer, a temporary skate spot could open as well. At the meeting, planners will talk about long-term goals for the park and discuss changes that could be made. It all goes down at 7pm at the Fortress of Planning auditorium, located catty-corner to Woodside Park at 8787 Georgia Avenue. - After that, local swing band Swingtopia returns for another round of shows at Greek Village Restaurant in Colesville. They'll be playing at 8pm and 9:30pm at New Hampshire Avenue and Randolph Road. 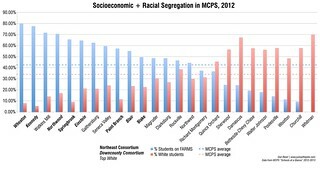 For more info, check out Swingtopia's website. - The Cycle Jerk (try saying that three times fast without slipping into "Circle Jerk") blog joins the chorus praising Pacci's Pizzeria at Georgia and Sligo. "There are still a few wrinkles to iron out but the pizzas were delicious. They were on par with Two Amys and slightly better than Mia's in Bethesda (which I love)," the blogger writes. - Speaking of downtown Silver Spring: a few commenters have complained about my use of the term "Downtown Silver Spring" to refer to the entire business district. That is, they suggest I shouldn't capitalize the "D" when referring to, say, something at Georgia and Bonifant because capital-D "Downtown Silver Spring" refers to the redeveloped area at Georgia and Ellsworth. Back in the day, JUTP referred to that as the "Downtown Silver Spring complex," but after a while it slipped out of use. Do you care? Does it confuse you when I say "Downtown Silver Spring" instead of "downtown Silver Spring"? I'd like to know. I think Downtown Silver Spring is Downtown, meaning the way you use the term. The Ellsworth complex coopted the term, but downtown is the good, the bad, and the ugly. Actually Downtown Silver Spring is private property, owned (or managed) by the Peterson Company so the use of "D" or "d" is meaningful. The website www.downtownsilverspring.com belongs to Peterson. The county site, through the Regional Center, is www.silverspringdowntown.com. The first website's events page lists events on Ellsworth; the second's events page lists events in downtown Silver Spring, not on Ellsworth. If you're going to be a journalist, it's always prudent to use proper grammar. The difference between using "Downtown" and "downtown" is meaningful, as rb has said (I think Melanie was confused about the question, but she wrote "downtown" correctly in her last sentence, and incorrectly in her first sentence). When referring to all of downtown Silver Spring, a little "d" should be used. When referring to the Ellsworth development, the big "D" should be used, but you should also make sure to clarify that you mean Ellsworth. It's just good journalism. I think of the entire commercial district between the DC line and Spring St. as downtown Silver Spring. If Peterson owns the capital "D" I have no problem with you borrowing it. Regarding writing downtown vs. Downtown: I don't mean to sound trite, but it's not about whether you're "confusing" people or whether you "care" if its spelled a certain way, it's about you being responsible for making sure you absolutely ARE writing things correctly to the best of your ability when being published online and read by a good number of people on here and on GGW. Since you don't have a professional editor editing your work before you publish it online (I'm assuming), you need to be extra careful on your own. The difference between downtown and Downtown in this context is that "downtown" used here is an adjective to describe a portion of Silver Spring, and "Downtown" is the first part of a proper noun. I definitely wouldn't type Downtown Silver Spring if I were referring to, say, the intersection of GA and Thayer; only for Ellsworth between Fenton and GA. Remember, you're going to need that proper grammar at Penn. In the end, writing "downtown Silver Spring" to mean all of downtown is the correct spelling. Thanks for your help again. I'm going to defer to the other readers on this, since I know what I mean, and you know what I mean, and my biggest concern - above even accuracy - is to use whatever the colloquially used term is. 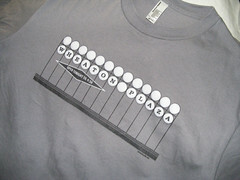 After all, I still call it Wheaton Plaza, though you know and I know that's not what it's called anymore. On another topic, thanks again, Dan, for your continued support of Swingtopia. We hope to see some new faces there this month! Dan, it's not a grammar issue, it's a pronunciation issue. One is pronounced Downtown (fat) the other is pronounced Downtown (phat, a little more drawn out). The other way to pronounce it is one is Silver Sprung, the other is Silver Spring. What ever came of the Montgomery Parks meeting and the fate of our beloved Woodside Park? I walked by this afternoon and noticed some construction has resumed.